The classic game is now online for you to pit your wits against! 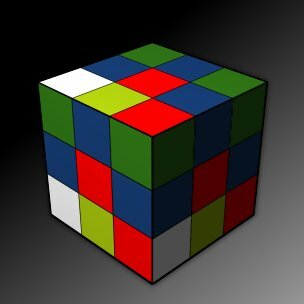 In Rubic Cube 3D, try your hardest to unscramble the cube so that all the sides are the same colour. - To rotate cube; click on the cube and drag in the direction you want it to rotate. - To rotate a row; click on the edge of the row you wish to rotate. GAME PATH: Gamers2Play.com - Puzzle Games - Play Rubic Cube 3D game!